Konica Minolta. No exceptions. Make sure that it is filled in correctly. Box styles may vary from what is pictured. Part Number(s): A0X5433,TNP27C, TN-P27C. Konica Minolta Bizhub C25. Remanufactured: No. (Part # TN221K, TN-221K, A8K3130 ). Bizhub C287. Bizhub C227. It's easy to reach us! A0X5233, TNP27Y. Part Number: A0X5233, TNP27Y. bizhub C25. KONICA MINOLTA BIZHUB C35 IMAGING UNIT MAGENTA. Konica Minolta. Color: Yellow. Yields: 6000 Color Pages. Pittsburgh, Pennsylvania 15208. This item works in the following Konica-Minolta Bizhub Printers: C203, and C253. Laser Toner Condition. Page Yield. Konica Minolta BIZHUB C227, BIZHUB C287. Konica Minoltaproduct numberTN221K (A8K3130). Machine Section. : 19.6” x 3.2” x 3.2”. : 1 lb 14 oz. Genuine Konica/Minolta BizHub. Item # -Konica/ Minolta type TN-211. Konica/Minolta 200 250 copier/printer. All major credit card accepted. Genuine! 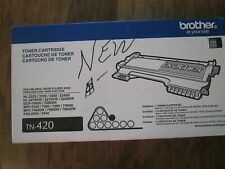 Konica Minolta TN210M Magenta Toner Brand New! 5 out of 5 stars - Genuine! Konica Minolta TN210M Magenta Toner Brand New! 1 product rating1 product ratings - Genuine! 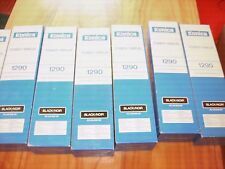 Konica Minolta TN210M Magenta Toner Brand New! L/N 5127GCN1. Konica Minolta. You are looking at an unused with no box. We will do whatever it takes to negotiate a fair and reasonable resolution to any problems that may arise. Check out the photos to get a better idea of what you'll be getting! Genuine Konica Minolta, 8935-202, Type 102A. that this item is an ORIGINAL Konica Minolta and NOT a generic! Manufacturer: Konica Minolta. Compatibility: Konica Minolta EP-1083, 2010. 4053601, 02VW, G3PH, TN310M. Part Number: 4053601, 02VW, G3PH, TN310M. Konica Minolta. Color: Magenta. KONICA MINOLTA BIZHUB C450 WASTE TONER BOTTLE. KONICA MINOLTA TN310C TONER CYAN. KONICA MINOLTA TN310Y TONER YELLOW. Konica Toner. Konica Toner. Condition: New in Box. I often add new ads. Keep checking back. We are otherwise not open to the public. Unless otherwise stated, this has been tested for key functionality. 950712, 005A, KKGY. Part Number: 950712, 005A, KKGY. Konica Minolta. Color: Black. Condition: Surplus - New, never used. It may have expired date codes, be missing the box, have shelf wear, tears, etc. Part Number: 8916402. Konica Minolta. 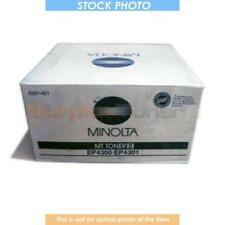 MINOLTA 3170 4210 TONER. MINOLTA 3170 DRUM. MINOLTA 370 DEVELOPER. Color: Black. It may have expired date codes, be missing the box, have shelf wear, tears, etc. Pittsburgh, Pennsylvania 15208. Part Number: 8931401. Konica Minolta. MINOLTA 4230 5401 PHOTOCONDUCTOR. Color: Black. It may have expired date codes, be missing the box, have shelf wear, tears, etc. Pittsburgh, Pennsylvania 15208. 6901 Lynn Way. TN-211 TN211. BIZHUB 250, BIZHUB 282, BIZHUB 200, BIZHUB 222. BIZHUB 350, BIZHUB 362. Compatible for KONICA MINOLTA Bizhub 200 250 TONER. Konica Minolta BIZHUB 200. Konica Minolta BIZHUB 222. Konica Minolta BIZHUB 250. A04P131, TN610K. Part Number: A04P131, TN610K. bizhub PRO C6500 bizhub PRO C6500e. KONICA MINOLTA BIZHUB PRO C6500 TONER MAGENTA. Konica Minolta. KONICA MINOLTA 14YK STAPLES. MINOLTA MS-5C STAPLES. Color: Black. Part Number: 8931602. Konica Minolta. Color: Black. Pittsburgh, Pennsylvania 15208. 6901 Lynn Way. EP-2152 PRO EP-2153. Fuji Xerox. Pitney Bowes. A0X5130, TNP18K. Part Number: A0X5130, TNP18K. magicolor 4750DN magicolor 4750EN. KONICA MINOLTA MAGICOLOR 4750 TONER MAGENTA HY (TYPE AM). KONICA MINOLTA MAGICOLOR 3730DN WASTE TONER BOTTLE. Konica Minolta. Compatibility:Konica Minolta Bizhub Printers Manufacturer: Konica Minolta. Print Color: Black. Product Details Typical Print Yield: 24000 Pages. A0X5433, TNP27C. Part Number: A0X5433, TNP27C. bizhub C25. KONICA MINOLTA BIZHUB C35 IMAGING UNIT MAGENTA. Color: Cyan. Konica Minolta. KONICA MINOLTA MAGICOLOR 3730DN WASTE TONER BOTTLE. Yields: 6000 Color Pages, 6000 Color Pages. 4053601, 02VW, G3PH, TN310M. Part Number: 4053601, 02VW, G3PH, TN310M. Konica Minolta. Color: Magenta. KONICA MINOLTA BIZHUB C450 WASTE TONER BOTTLE. KONICA MINOLTA TN310C TONER CYAN. KONICA MINOLTA BIZHUB C450 IMAGING UNIT BLACK. A0X5433, TNP27C. Part Number: A0X5433, TNP27C. bizhub C25. KONICA MINOLTA BIZHUB C35 IMAGING UNIT CYAN. KONICA MINOLTA BIZHUB C35 IMAGING UNIT BLACK. KONICA MINOLTA BIZHUB C35 IMAGING UNIT MAGENTA. Color: Cyan.